Woodside Room 2 is ground floor accommodation nestled within the woodland. 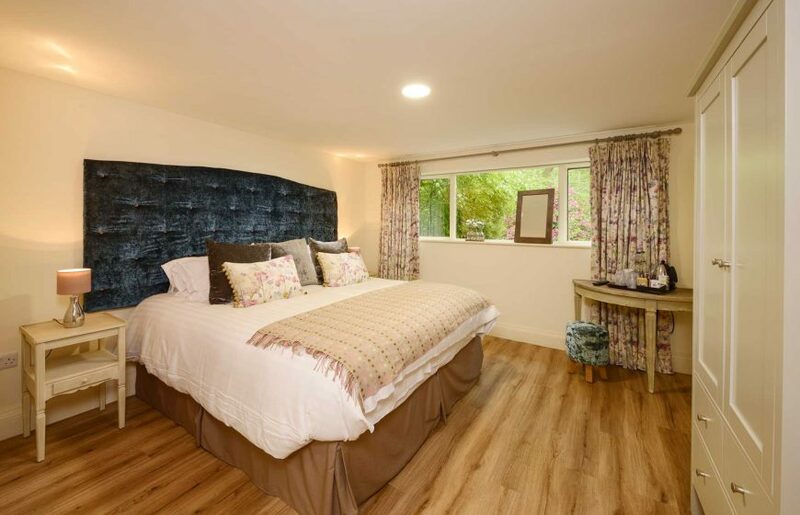 With views out into woodside garden and a large double bed, this room allows a calm and relaxing experience for all. The room can accommodate a travel cot. Mineral water, tea and coffee making facilities. And delicious homemade biscuits. Everything you need to look good – hairdryer, iron and ironing board (available on request). Children under 5 eat free, children under 12 at half price. Room 6 is one of our smaller doubles, with stunning views out across the front of the house. Woodside apartment - one bedroom with a kitchen diner and living area. Room 4 is one of the larger suites we have, with a super king bed, drawing room and en-suite shower room. The apartment is a 10 sleeping suite at the Top of the House.